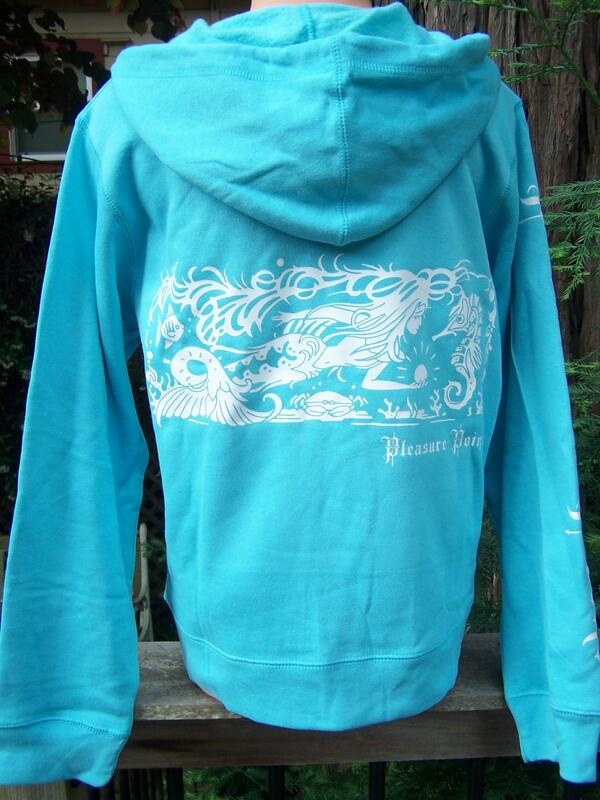 Mermaid Aqua Ladies full zip sweatshirt FREE SHIPPING!!! THIS WILL BE YOU FAVORITE GO TO SWEATSHIRT!!! 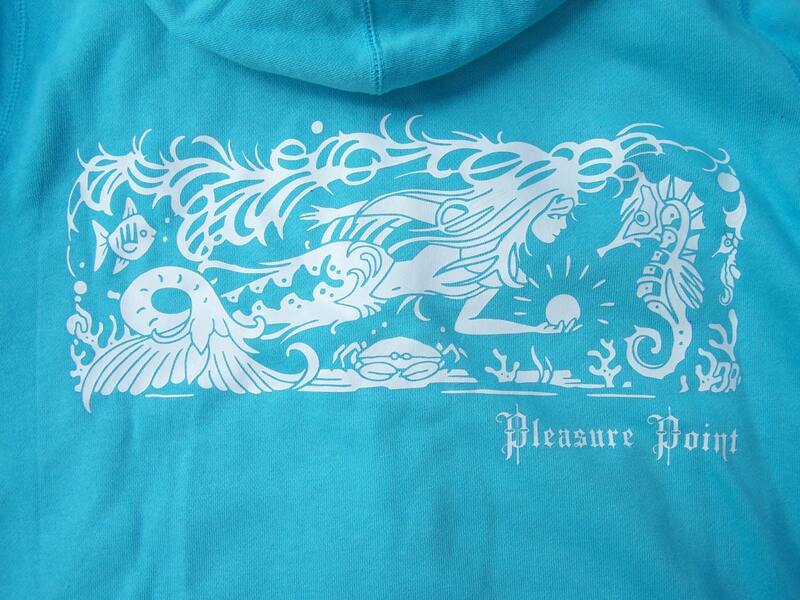 So soft and pretty...Super cute mermaid and sea creatures in a woodcut style print on the back with our Pleasure Point text logo sleeve print and front chest print. Sweatshirt is high high quality. Really thick...really soft. sizing is accurate.